Kick off your small-group tour by meeting your guide and air-conditioned coach transport either at your hotel or near Topkapi Palace. Then, hop aboard for a voyage south along Turkey’s European edge to the Gallipoli peninsula. Take a break for breakfast (own expense) and loosen your legs in the small city of Tekirdağ. Shortly thereafter, arrive in Gallipoli and begin your excursion to the famous World War I sites. 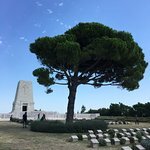 Listen as you guide explains how Australian and New Zealand forces invaded the shores of Gallipoli in 1915 with the goal of sacking Istanbul, then the Ottoman capital Constantinople. Their hopes were immediately crushed by Ottoman Turk soldiers who battled the Aussies and Kiwis for more than six months to a standstill. Learn about the thousands who perished from both sides on these battlegrounds which now serve as a place of remembrance. 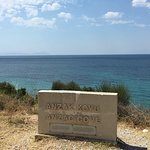 Hop off your coach at ANZAC Cove and hear about the first day Australian and New Zealand forces landed at the cove. Wander through symbolic battlegrounds and stroll the beautiful headlands. Then, visit Australia’s primary memorial location, Lone Pine which was named for a single pine tree that lived here. See the names of 5,000 soldiers who rest here after dying in battle. Next, explore the Nek’s war torn trenches and listen to stories of soldiers who attacked from hiding places within nearby forests. 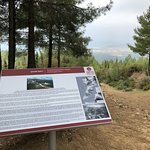 Continue to Chunuk Bair and hear how the Allies bravely captured this site but were unable to defend it. Also, stop and observe the memorials of courageous New Zealanders who fought till the end. Savod lunch at a restaurant in the nearby town and then cruise to more serene memorial sites close to Gallipoli. Stop at Burnu Cemetery to honor the 252 servicemen who lay rest here. Then, enjoy passing by Johnson’s Jolly trenches, the Beach Cemetery and Brighton Beach before heading back to Istanbul. Along the ride back to your starting point reminisce as you see evening views of Turkey. Get quick answers from Gallipoli Day Trip from Istanbul staff and past visitors.